The American west is alive and well and living in Steamboat Springs. Working ranches surround the town. Main Street is extra wide - to accommodate cattle drives. And you're just as likely to have breakfast next to a cowboy as you are a tourist. But up here, you'll also find the spirit of the West in the tip of a hat. A genuine smile. An open door. And a light left on. Our western charm is what makes your summer vacation feel a little more adventurous. It’s what makes you feel like up here, you’ve fully escaped your everyday life. It’s also what makes you feel truly welcome as part of our community. And it’s what'll make you never want to leave. With a long standing history of rodeos, working cowboys and ranches passed down through the generations, Steamboat and the Yampa Valley stay true to their Western roots even today, with live events, museums, historic buildings tours, the unique old mining town of Hahns Peak, and hot springs that keep alive the legacy of a true ranching community. In addition to ongoing events like the Steamboat Springs Pro Rodeo Series, Steamboat boasts a number of annual events that hold strong to its western roots. 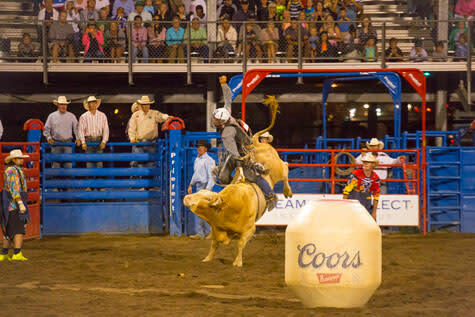 Every Friday and Saturday night starting June 21, this 10-week professional rodeo series features bull riding, bronc riding, roping, steer wrestling, barrel racing and kids&apos; events. Don&apos;t miss the special July Fourth event as part of the Cowboy Round Up Days. 40 of the top bull riders in the world test their skills for a chance at a $15,000 purse at the Rocky Mountain P.B.R. Bull Bash during Labor Day Weekend Celebration. You won&apos;t find a more western Fourth of July celebration than Steamboat&apos;s Cowboy Roundup Days. In it&apos;s 115th year, this is a real down home festival, featuring the Fourth of July parade, the Pioneer Day Block Party, a ranch rodeo, and a special Steamboat Pro Rodeo event followed by one of the biggest firework shows in Colorado. Please note that fireworks are dependent on current conditions. 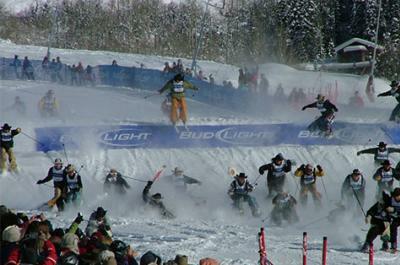 For over 40 years this wild western event has been a staple of Steamboat Springs. Billy Kidd, Director of Skiing, and Larry Mahan, six-time All-Around World Champion cowboy, decided to invite some ProRodeo cowboys up to Steamboat for some fun on the slopes and the event continues to entertain today. Nothing says Steamboat like cowboys on skis! Come watch this exciting and fun 45th annual event happening in January 2019. Start your day in true western style with Saddleback Ranch on a cattle drive. Let these guys show you the ranching side of Steamboat Springs. Cattle drives are a truly unique experience that will get you back to the simple things in life. Rides are around 3 hours and horses are available for all ability levels. When you think of Steamboat Springs do you dream of an authentic Western vacation? Western hospitality and exceptional, personalized service at a guest ranch will bring those dreams to reality. With many locations to choose from just minutes outside of town, you are sure to get a taste of the Old West like never before! Looking for a western family experience? Vista Verde Guest Ranch made Yahoo&apos;s summer all-inclusive family resort list.